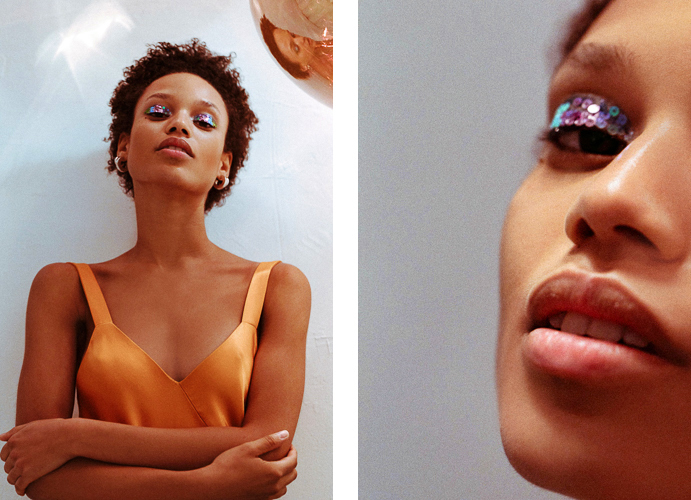 Maybe you've noticed, but glitter makeup is having a moment in 2016—thanks in part to Instagram beauty tutorials and a certain makeup artist whose name rhymes with Nat McCrath. What a time to be alive! 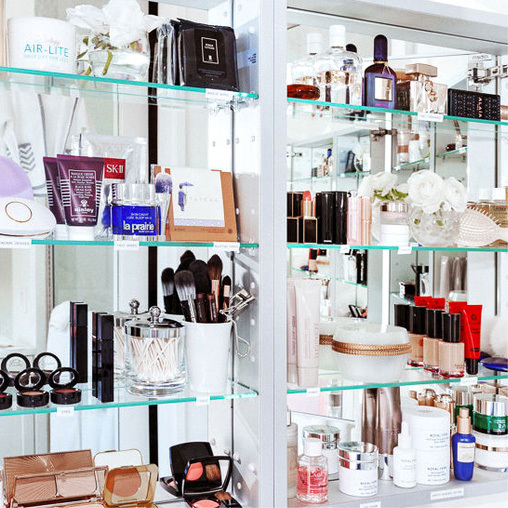 Nobody is more excited than Into The Gloss, outspoken champions of shiny makeup. (Except for maybe Mariah Carey.) The problem is that glitter today skews too "done." For evidence, Google "glitter makeup" and see what comes up. It's all about more-is-more, which is great, but not really what we wanted to do. This was the topic at a midsummer night's editorial meeting at Glossier HQ before Tom brought up Emi Kaneko, makeup artist and glitter anarchist. 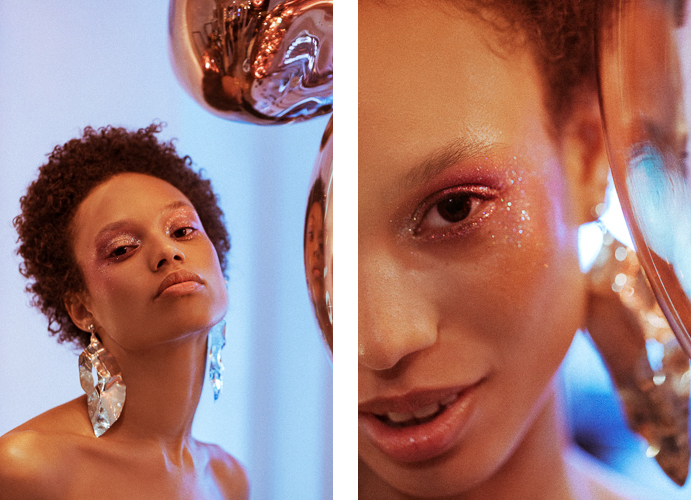 Emi's particular brand of fun, playful, wearable makeup is what lands her regular spreads for Vogues all over the world, and her approach to glitter is just that—approachable: "I don't want it to be this super glammed-out, bold look." She said. "I wanted it to feel a little more effortless. Not so obvious." A glitter makeup look we can all believe in. "You don't want sad, dull glitter—that's just depressing," Emi joked. But she's right! 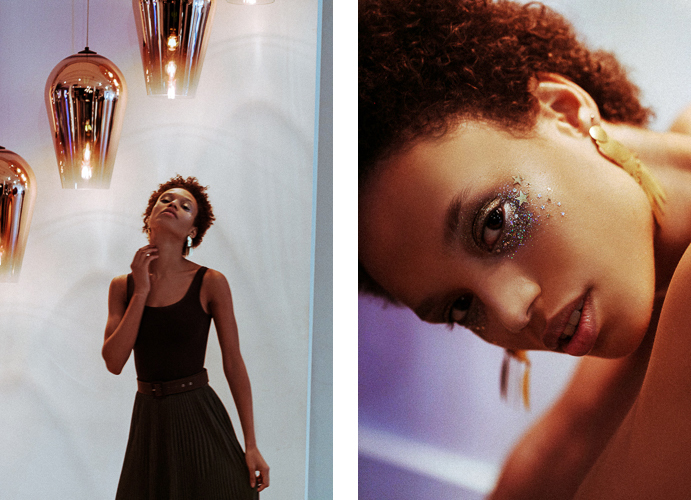 Glitter is three-dimensional—it's about color and texture, sure, but it's also about light. Take the first look, which is something of an amplified highlight founded on MAC Studio Eye Gloss in Lightly Tauped. Emi concentrated rich colors up on the eyes (MAC's Reflects Bronze and Very Pink) and used lighter colors on the cheekbones (Obsessive Compulsive Cosmetics Glitter in Pink and Fae). Afrodita wears a Preen by Thornton Bregazzi dress and Sophie Buhai earrings. Like, for example, layering MAC 3D Lavender Glitter underneath a bunch of sequins for peak mermaid eyes. Afrodita wears a Tibi dress and Lizzie Fortunato earrings. "Placement is key with lips—especially if you’re using a darker color, because it can be a botched job if you don’t do it right," said Emi. She pressed black Make Up For Ever and MAC glitters into the lip and rhinestone-lined them with a jeweler's precision. 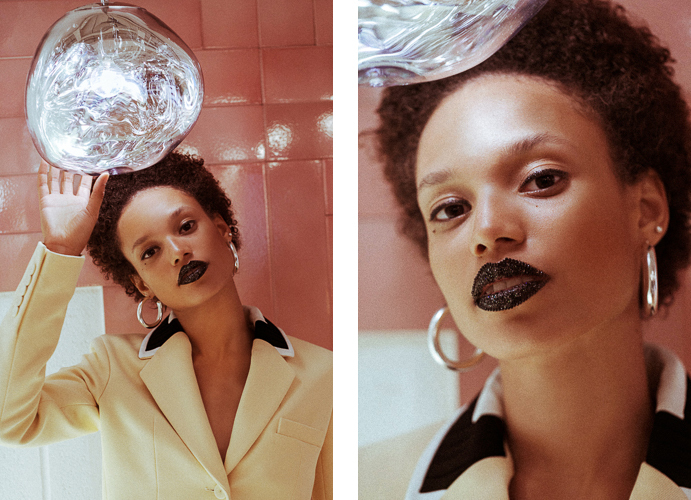 The combination of glitter, stones, and blackest black is a kind of drama equation—said Emi, "we wanted to make the glitter feel secondary to the dark lip." Anyways, a beautiful look to try if you're not planning on eating a burger. Afrodita wears a Carven blazer. 4) ...but embrace the mistakes. Because to err is human, and that human element to beauty is Emi's whole thing. Take the above look, in which Afrodita's face is dusted with loose freckles of glitter. (Also: a moment of reverence for Afrodita's skin. Insane, right?) This was one of Emi's favorite ideas, specifically for its duality. From far away, they look like... regular freckles. Step a little closer and they come to life. Plus, all you need is excess glitter and some glue—Emi used Ben Nye. 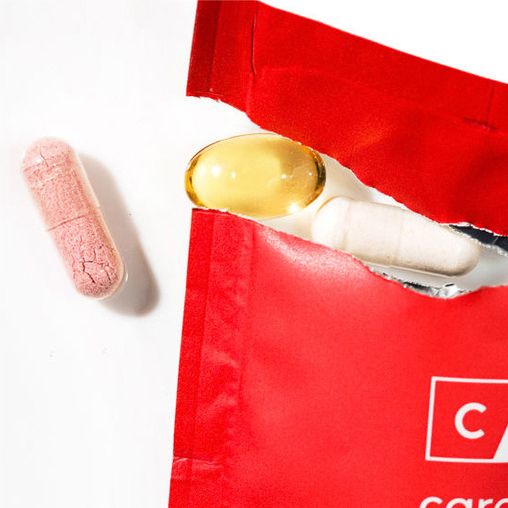 Resourceful, lighthearted, but verging on dramatic. It's Scorpio season, after all. Afrodita wears a Tibi coat and Protagonist dress. 5) There are no rules. (Surprise! Just kidding, you saw that coming.) When dealing with glitter, the only verb that fits is "play." You're never applying glitter; you're playing with glitter. It's inherently fun, so take risks. "People are always talking about how silver and gold should be separate... but I've always loved them together." Emi mixed MAC Silver and Gold pigments in Mixing Medium, concentrating the glitter around the eye and adding stars high on the cheeks. "It’s a bit of my childhood in that, the star tears. Rainbow Bright was definitely a reference. [Laughs]"
Afrodita wears a Theory tank and Lizzie Fortunato earrings. Afrodita Dorado (The Lions) photographed by Tom Newton at Tom Dixon in New York. Makeup by Emi Kaneko. Styling by Lilli Milhiser. Change your look, change your life. Try: a bright pink lip, purple blush, and red lipstick everywhere but your lips.